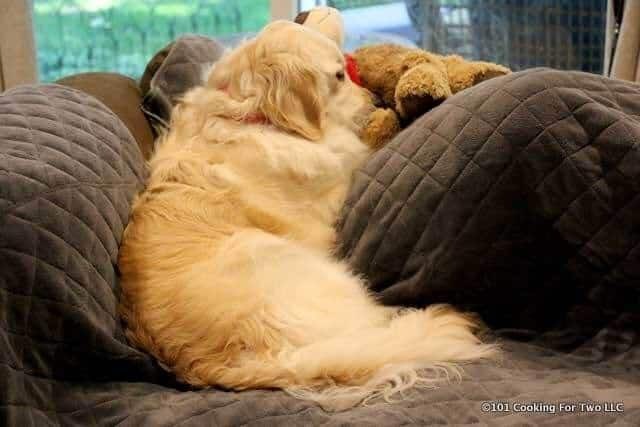 It’s “take-out at home” time. 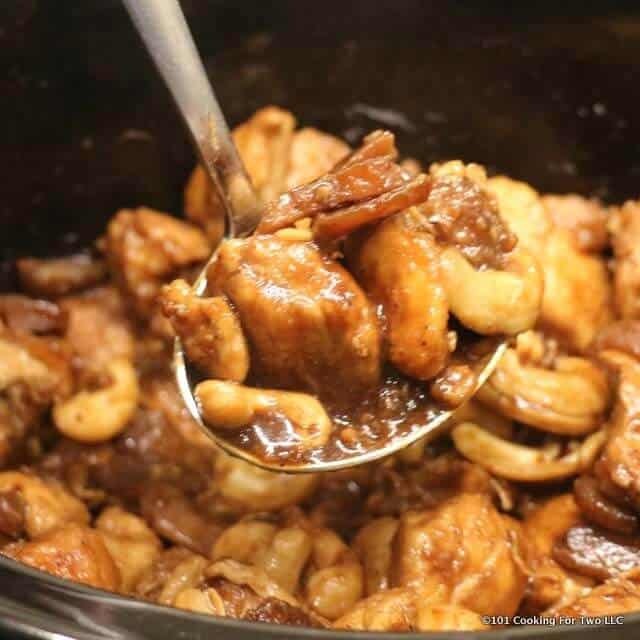 Cashew Chicken is one of the most popular Chinese dishes that everybody loves. 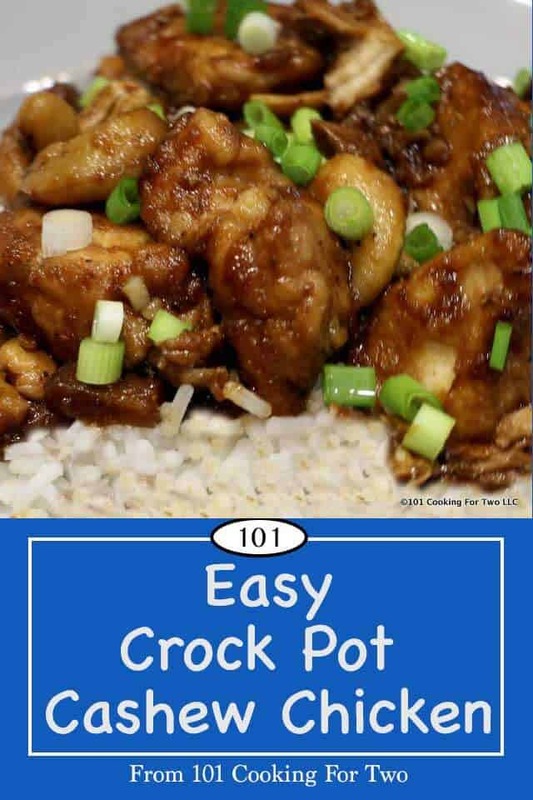 Now you can make it at home with this easy crock pot recipe. I love chicken, but I really love nuts. I also love Chinese as a great change of pace. So here we have a recipe with everything going for it. But I do have some requirements. First, I wanted breading. Odd that I might say that for a crock pot recipe but I (and you) can have breaded chicken in a crock pot recipe. Second, enough sauce for some rice. And third, as with all my recipes, I wanted common ingredients. My inspiration recipe is from Epicurious but I did a number of nips and tucks. Cornstarch for the flour and some adjustments to the sauce. Discussion is below. A low 5. Pop in some optional veggies and it would move up a smidge. While we Americans think if this as Chinese… it is from Missouri about 50 years ago. See Wikipedia if you’re interested. There are many recipes out there. Some had ingredients like sweet chili sauce I just don’t have and don’t want to stock. All seemed a bit heavy on vinegar and ginger. I learned long ago that our taste is different in these areas. In fact, if I cook Chinese with these things cranked up, I will be flushing it and ordering pizza. Like most Chinese cooking, there is a lot of sodium around. Use low sodium soy sauce. And the cashews should be raw and unsalted. I feel we frequently overcook chicken with crock pot recipes. All the over recipes suggest 4 hours which I feel is a bit too long unless you toss frozen veggies into the pot half way through. Then 4 hours is probably needed. The last comment is about the sauce. I doubled the sauce. The cornstarch on the chicken seems to thicken the sauce. 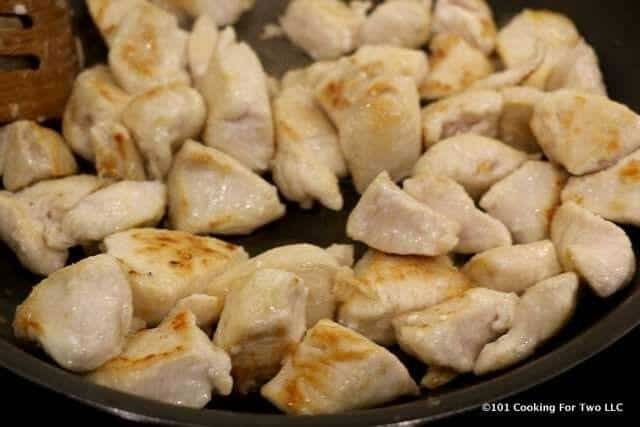 Chop 1 1/2 to 2 pounds chicken into 1-inch chunks. 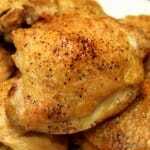 I used skinless boneless chicken breast, but thighs should do nicely also. To a 1-gallon food storage bag, add 3 tablespoons cornstarch and 1 teaspoon pepper. 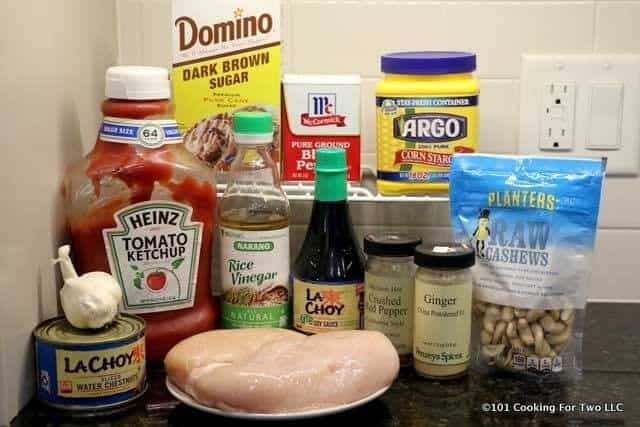 Add chicken and shake well to coat. Heat 2 teaspoon oil over medium-high heat and add chicken. 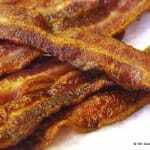 Gently stir every few minutes until browning nicely. About 6 minutes. 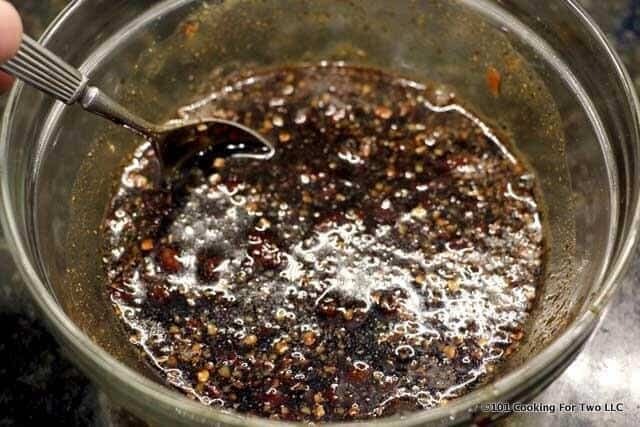 Combine 1/2 cup low sodium soy sauce, 2 tablespoons rice wine vinegar, 4 tablespoons ketchup, 1 tablespoon brown sugar, 4 cloves minced garlic, 1/4 teaspoon dry ginger, and 1/4 teaspoon red pepper flakes. Add chicken, one 8 oz sliced water chestnuts drained and the sauce to the crock pot. If you like softer cashews, add them now. If you like more crunch, then add near the end of cooking. Cook on low for 3-4 hours until chicken is 165 degrees. But try to give it a stir about halfway through. If you want some veggies added then at about 2 hours into cooking, add them. Serve over rice and trim as you wish. It's "take-out at home" time. 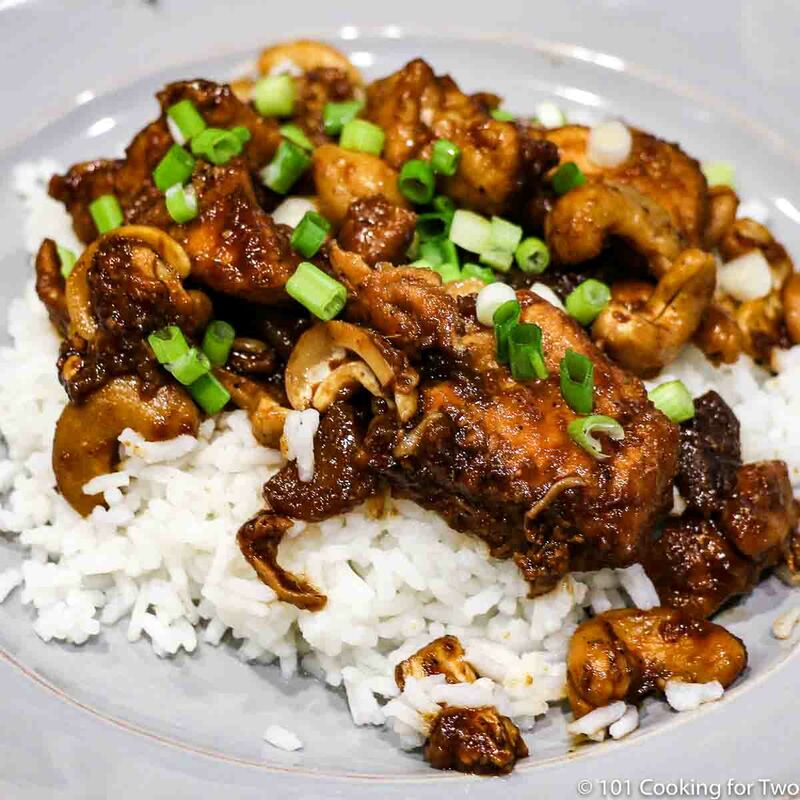 Cashew Chicken is one of the most popular Chinese dishes that everybody loves. Now you can make it at home with this easy crock pot recipe. 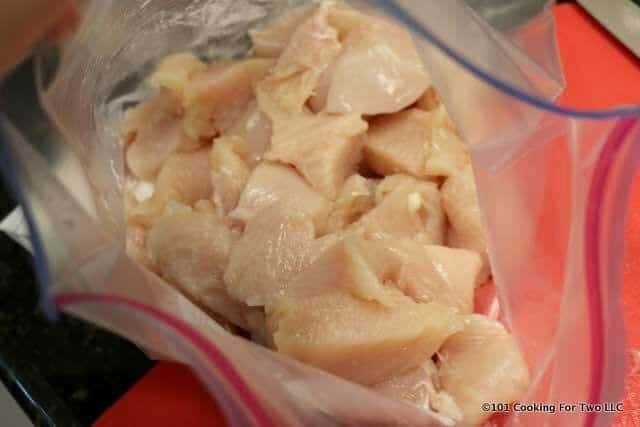 Trim and chop 1 1/2 to 2 pounds chicken into 1-inch chunks. 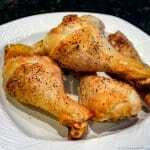 I used skinless boneless chicken breast, but thighs should do nicely also. 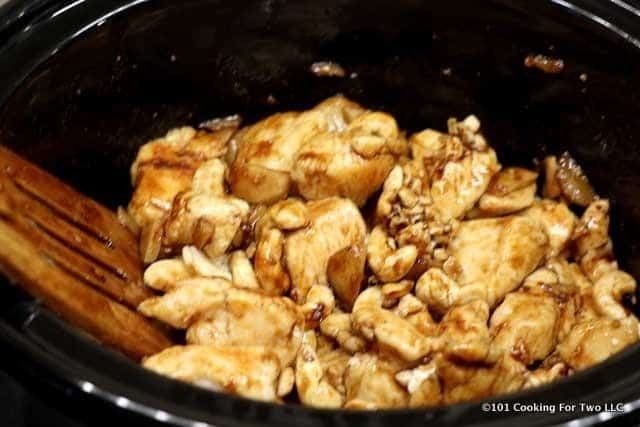 Add chicken, 8 oz can sliced water chestnuts drained, and the sauce to the crock pot. If you like softer cashews, add them now. If you like more crunch, then add near the end of cooking. Can’t image what went wrong but this was a disaster. Wasn’t near enough liquid in the recipe and it went dry in the slow cooker. Did anyone else have this problem? What in the world could I have done wrong? I have not had that issue. Sorry it didn’t work well for you.